The October School Half Term is a great time to get away on a family break, making the most of the last good weather days of the year before winter sets in. The October half term is the last school break before Christmas and is a great time to get away as generally the autumnal weather can be quite kind at this time of year. Below you will find some excellent self catering accommodation for the school half term holiday ranging from cottages and holiday flats to lodges, chalets and caravans. The self catering listed includes everything from cheap, budget friendly holidays to luxury breaks. But rest assured, all offer excellent accommodation at great locations across England, Scotland, Wales and Ireland. Availability of self catering accommodation in the October half term is not so bad as you would expect during the school summer holidays but as the half term approaches you will find the choices reducing so it is worth booking early especially if you have a preferred destination.. If you want to get away this October school half term it doesn't have to cost the earth, whether you are looking for budget or luxury accommodation, there is some great self catering. 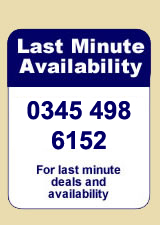 To get some great last minute School Half Term deals and latest availability we recommend calling 0844 847 1143 for a selection of cottages, apartments, lodges and more. If you are not sure whether to start your School October Half Term cottage and self catering search here are a few favourite cottage holiday locations, from popular counties to wonderful locations in England, Scotland and Wales, to get you started. Entertainment over the School Half Term? On a family half term break it's always good to have a few things planned to do and see, ideally for the different types of weather you will face. To help you we have put together our Holiday Attraction finder where we have listed things to do and see including historic houses, castles, cathedrals and garden (we are assuming you can rule out the zoos and theme parks). See Holiday Attractions. In addition check out our Sporting and Social Events, Festivals and Events, Gardens to Visit and County Show Guide for lots to do and see across the UK this October Half Term.